Rhonda Schmid, Memorial Hospital Radiology and Imaging Director, and RaeLyn Swisher, Impact Sports and Fitness Director, will be the guest speakers at the next Healthwise 55 luncheon. They will talk about the new 3D mammography machine, breast cancer awareness, and the upcoming Impact the Cure event in Abilene. Healthwise 55 will be on Tuesday, September 25, from noon to 1 p.m. at the Nichols Education Center (lower level of Learn & Grow Depot), 1003 N. Brady, in Abilene. Attendees should park in the lot east of the building. The cost is $5 to cover the price of the meal. Please call Michelle McClanahan, Memorial Health System (MHS) Director of Volunteer Services, at (785) 263-6692 by Thursday, September 20, to make a reservation. 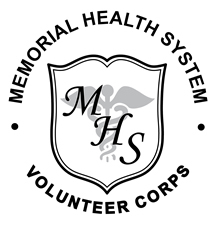 Healthwise 55 is a luncheon and health information program hosted by the MHS Volunteer Corps. It is open to the public for individuals ages 55 and older. It includes a meal followed by a health care professional speaking on a health-related topic.